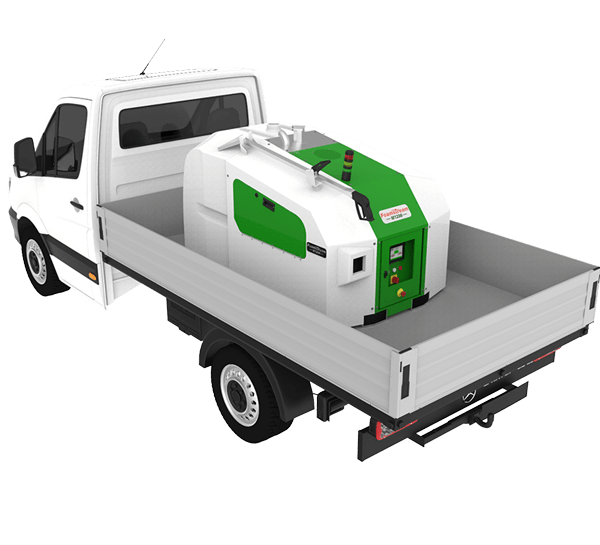 A compact, lightweight system well suited for use in built-up and noise sensitive areas. A high performance system, ideal for use on all types of large and open areas. 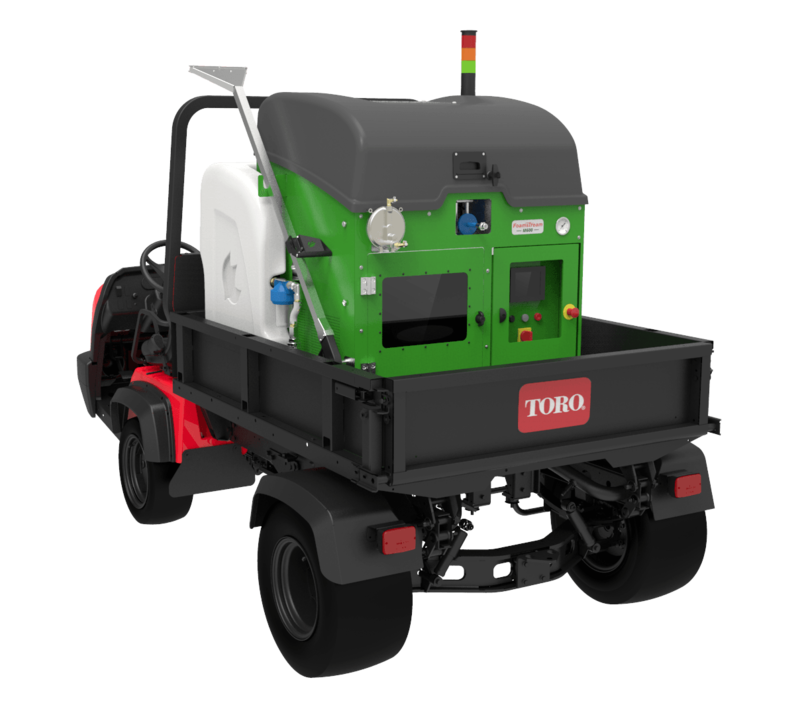 Our optional extras mean our machines can be used for so much more than just weed control. Occasionally we have a range of used machinery available, including ex-demo machines. How using Foamstream as an all-round solution to solve weed, moss and algae issues on waste-water filter beds can lead to cost reductions for water companies. Background: outh West Water provide reliable, efficient and high-quality drinking water and waste water services throughout Cornwall and Devon and in small areas of Dorset and Somerset for a population of c. 1.7 million. It employs over 1300 people. Filter bed performance is compromised when moss growth is prevalent. Controlling weeds via hand weeding is costly on time and labour and was proving ineffective. Unwanted vegetation growth has negative effects on asset life-span. Essential to have a solution suitable for use around people and waterways. Foamstream allowed South West Water to move away from costly, time consuming manual labour practices which were traditionally the way to manage unwanted vegetation growth on the percolating and de-nitrifying filter beds. By reducing the amount of time needed to treat the filter beds, operators were able to spend more time on other parts of the process. It was a critical consideration to have an environmentally friendly and sustainable solution when working with the water course, Foamstream fitted this requirement perfectly and allowed the operators to easily and simply treat the filter beds on site. 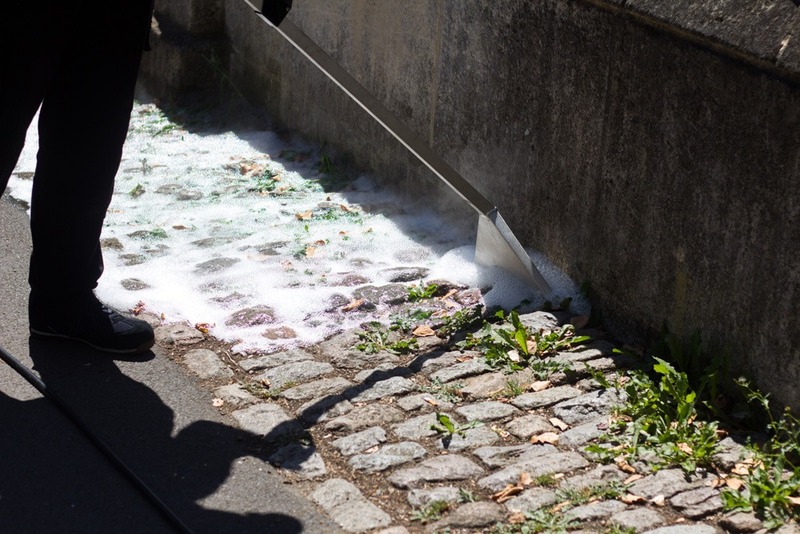 Foamstream was also used to treat moss and algae around site walkways and on surfaces to help reduce slip and trip risks to employees and visiting personal. Overall, Foamstream helped reduce costs for South West Water through better allocation of labour, time and reducing the number of times each site needed to be treated. “Foamstream ticks so many boxes for us. Everything from the environmentally friendly credentials and improving health and safety for our workforce, through to cost and time savings by reducing the number of treatment cycles needed and the efficiency of application." Does you organisation suffer from costly labour bills? Foamstream has helped utility companies across the UK reduce costly overheads. Get in touch today to see how Foamstream can help save time and money in your organisation. Keep up-to-date with the latest news and developments in herbicide-free weed control. Sign-up today.